Thank you for registering with Supertech Group! Stertil Koni now eliminates the tripping hazard by offering completely cable free mobile column lifts. The columns communicate via a secure industrial communication system. Two deep cycle batteries eliminate the power cable and all other inter-connecting cables between the columns. 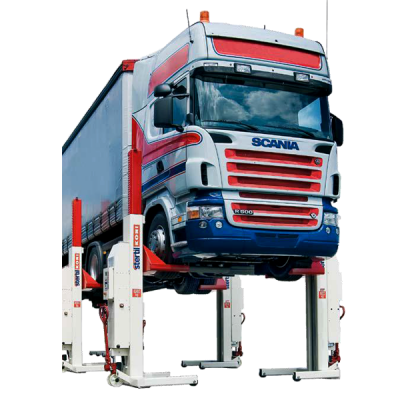 The wireless mobile column lifts are the answer to the ever increasing demands of the modern workshop and ensure a cable free and trouble free future for years to come.